This Fall our Big Event fundraiser will have a Hawaiian theme... "Mahalo Luau", which means literally, "Thank You Party". We hope you'll add this to your calendar and plan to attend. We'll have a delicious meal, desserts, and drinks with a Luau theme, as well as a Live Auction, Wine Pull, Heads or Tails Game, and more. This year, prior to our event, we're having our first-ever Chair-ity Auction. 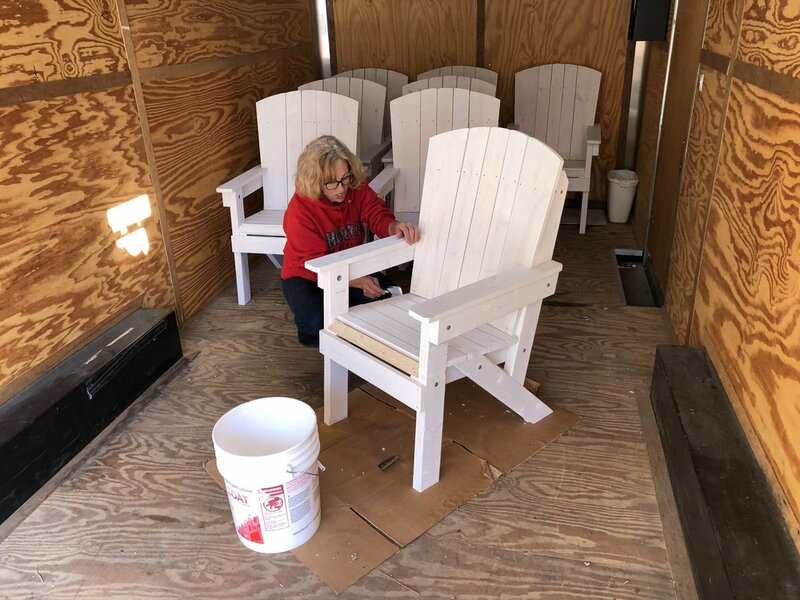 With the help of volunteers and clients of Peoria Rescue Ministries, 32 wooden Adirondack style chairs were built for us (CLICK HERE TO LEARN MORE), were distributed to local groups/artists to be painted, and are being auctioned off to benefit the Morton Community Foundation's operating fund. All completed chairs are currently on display at the Morton Public Library for everyone to see in person. Chairs can be purchased via our virtual auction (online auction) platform now through Friday night, November 9, at 8pm, the night before our Big Event, Saturday, November 10. All 32 chairs will then be displayed at our event, and attendees will vote for their favorite(s), as a "People's Choice Award." The Morton Community Foundation will give a grant to the "People's Choice Award" winner's charity of choice. Winning bidders may then take their chair(s) home with them at the end of the evening on November 10. Yes! I’d like to attend. Where do I get tickets? Each attendee of our event will receive a golden token good for 1 exclusive, specially prepared mixed drink. 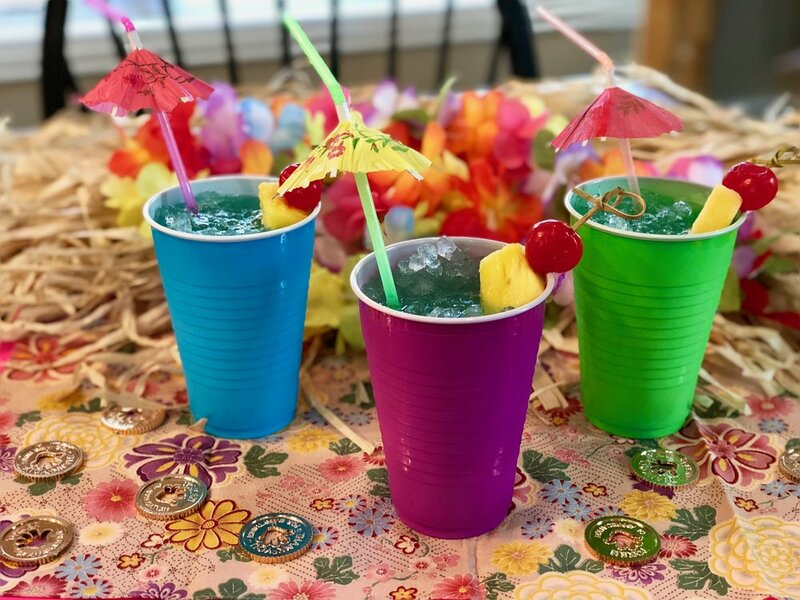 The Big Event 2018 Theme Drink, "Aloha Polū” was created by Sylvia Hasinger, a Trustee on the Morton Community Foundation’s Board of Directors. Sylvia and her husband Ron are also the Underwriters of the Theme Drink. The Theme Drink is called "Aloha Polū”, which means literally, “Hello Blue”, so named because of its vivid blue color. The drink contains Coconut Rum, Blue Curacao, pineapple juice, fruit flavored soda water, ice, and is garnished with a fruit spear. A non-alcoholic version will also be available. Thanks to Brewers Distributing for underwriting the cost of our selection of Hawaiian beers and wines, sodas, & water provided for all attendees to Big Event 2018 - Mahalo Luau Chair-ity Auction. Special thanks to Brewers CFO, Rob Personett, former Trustee on the Board of the Morton Community Foundation, for his help on our event. $10 buys 1 chance, $20 buys 2 chances, and $25 Buys 3 chances to play the game. We'll be playing a huge game of "Heads or Tails", where the last person standing will win a $250 Amazon Gift Card. and you'll be entered in a drawing for a $250 Amazon Gift Card. all evening during OUR EVENT. Then take it home with you. The Wine Pull takes place on the night of our Big Event 2018 fundraiser... Saturday, November 10. We will have numbered corks for you to purchase for $20 each. 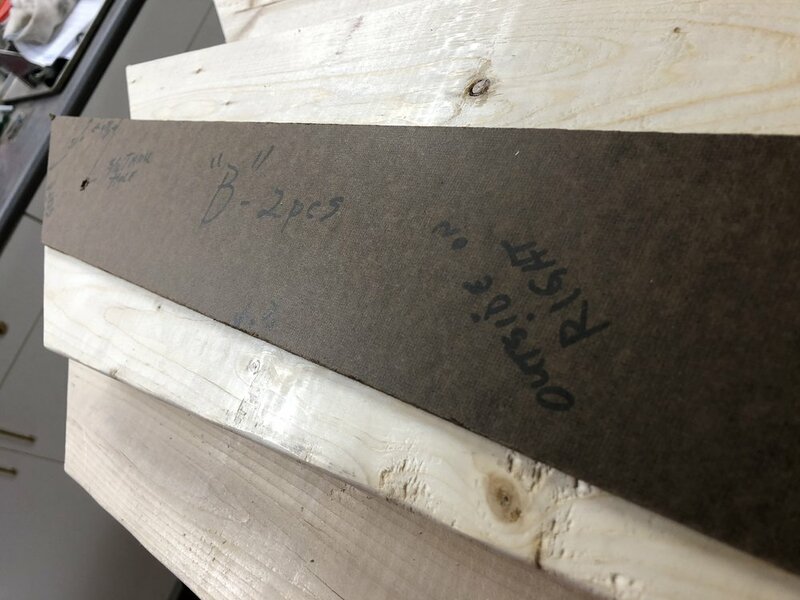 The corks will be identified as white or red wine, and the numbers on the corks correspond to numbered bottles of wine stored in another room. The donated bottles of wine are all valued at least $15, but there are also a good selection of wines valued up to $75. Your goal is to try to pick a cork corresponding to a high value bottle of wine. THANKS TO PEORIA RESCUE MINISTRIES FOR BUILDING THE CHAIRS FOR OUR AUCTION! 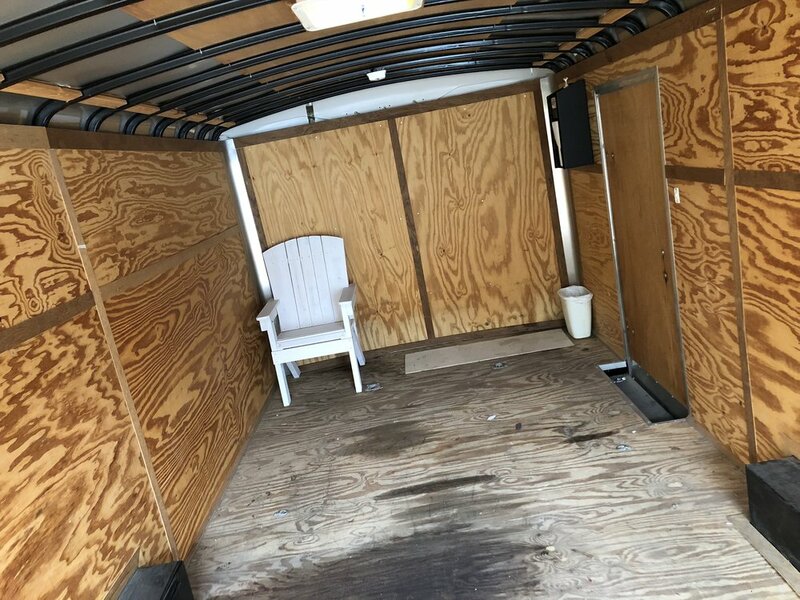 MCF Executive Director, Scott Witzig was talking with his friend, Jon Rocke, Executive Director of Peoria Rescue Ministries (PRM), about his idea to hold a Chair-ity Auction fundraiser. 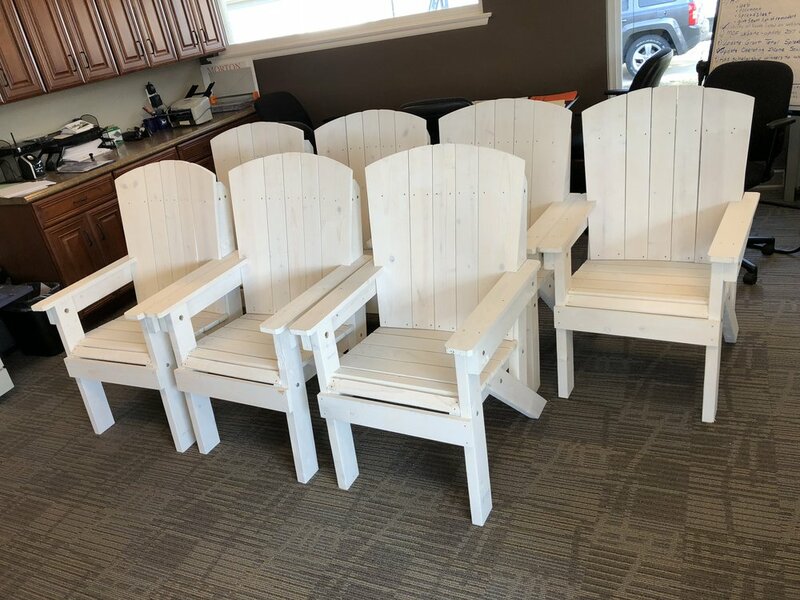 Scott explained that he needed to find someone to build approximately 30 chairs, so that local school groups, charities, and artists could paint them and donate them back to the MCF to be auctioned off. After hearing this, Jon explained that he had been thinking about possibly starting a project for the men in PRM's Victory Acres addiction recovery program. His idea was that the men could learn a skill by building chairs and other items out of some of the nicer donated wood pallets and crates, that are currently being shredded and turned into mulch. Jon suggested that they would be interested in building 30 chairs for the MCF as a pilot project, giving PRM an idea of whether or not the idea would be a viable program for Victory Acres. 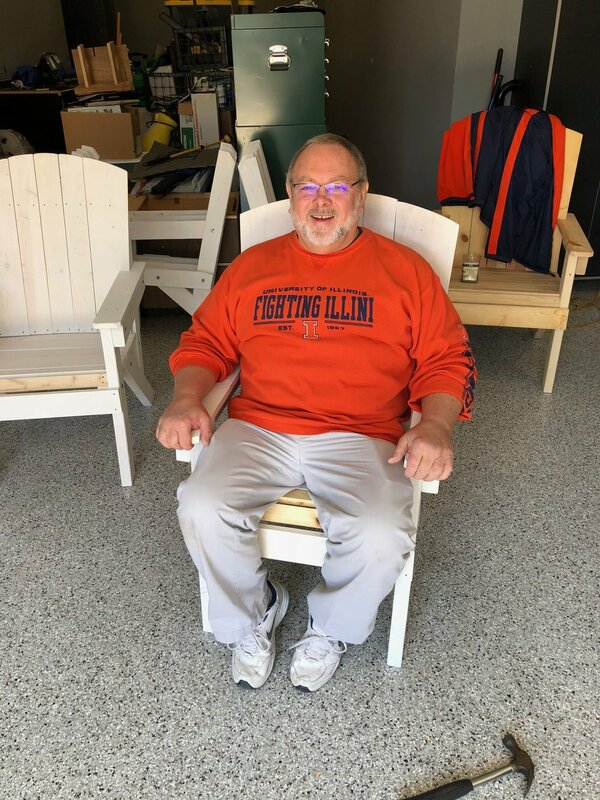 He then contacted two of his volunteers, Charlie Dean, and Darrell Goodman, both retired men, with excellent woodworking skills, and asked them to create a chair design, make patterns, and build the chairs. 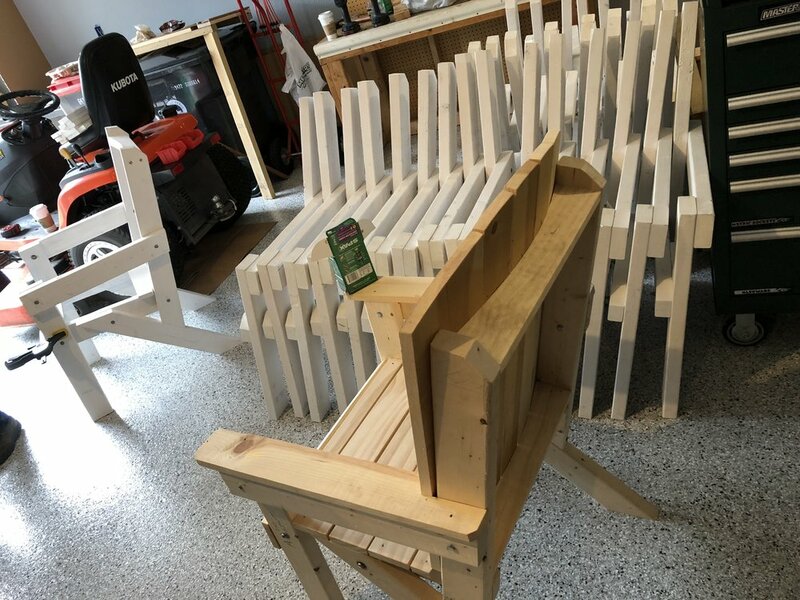 Charlie and Darrell created patterns, purchased wood (pallets and crates were not used for these chairs), screws, etc, for 16 chairs cut all the pieces , and sent them out to Victory Acres to be primed by the men there. Once all the pieces were primed, they were assembled. Check out the time-lapse video of a chair being assembled by Charlie and Darrell. 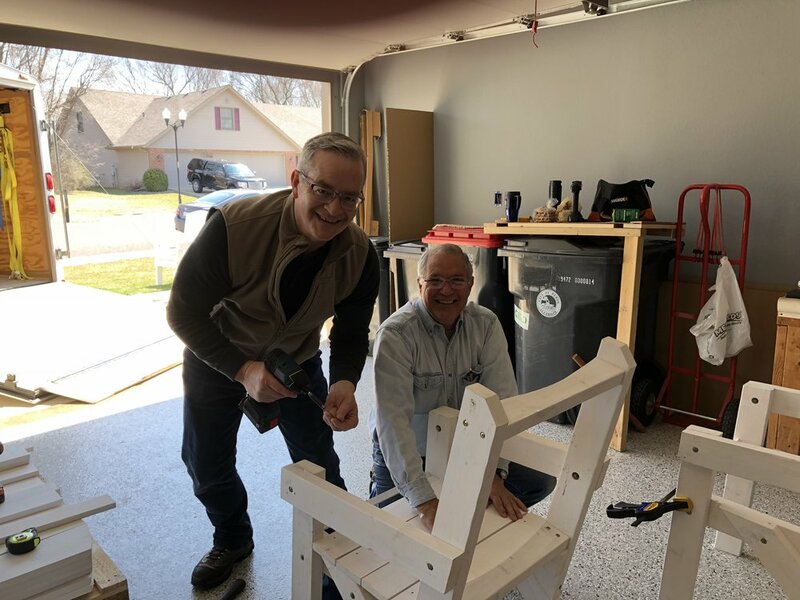 Sixteen more chairs were built, using the same patterns, by another PRM volunteer, Bruce Ekhoff, with some help from men from his Small Group Bible Study... David King, Bill Troyer, Steve Bachman, and David Schissler. This was a wonderful collaboration... the Morton Community Foundation benefitted by getting 30 very sturdy, quality, chairs for free, and PRM learned what they need to know in order to make a decision as to whether they should pursue this project for Victory Acres. (L to R) Kevin Goodman, Darrell Goodman, Kay Goodman, Cheri Dean. (L to R) David King, David Schissler, Bill Troyer, Steve Bachman, (Not pictured) Bruce Eckhoff. All chairs will be on display at the Big Event. Each attendee will be given 3 voting tokens at Check-in, and will be asked to use those tokens to vote for their favorite chair(s). The top vote-getter will be allowed to recommend a grant of $750 to the charity of their choice, and the 2nd highest vote-getter will be allowed to recommend a grant of $250 to the charity of their choice. The charity recipients of the grants must be valid 501(c)(3) charitable organizations or governmental entities.